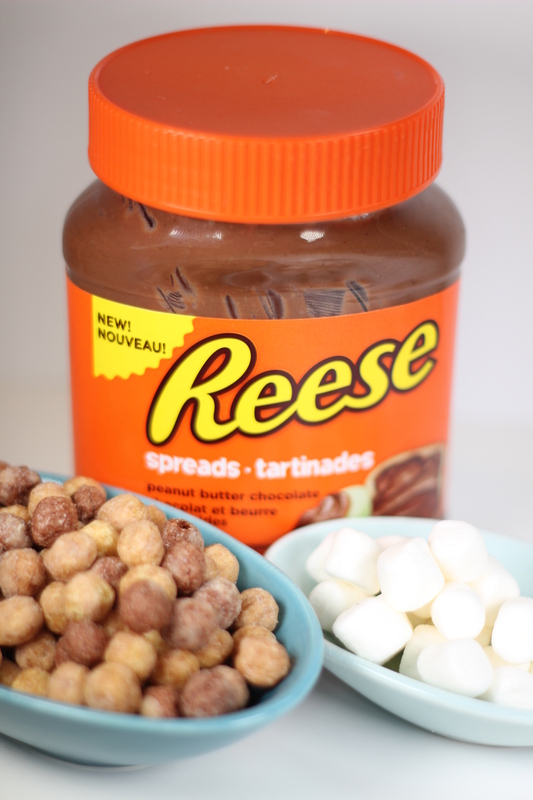 Well now available in Canada is Reese® Spread Peanut Butter Chocolate. A Food Bloggers of Canada member opportunity has made it possible for me as well as other great Food Bloggers to participate in developing a recipe using this new spread. 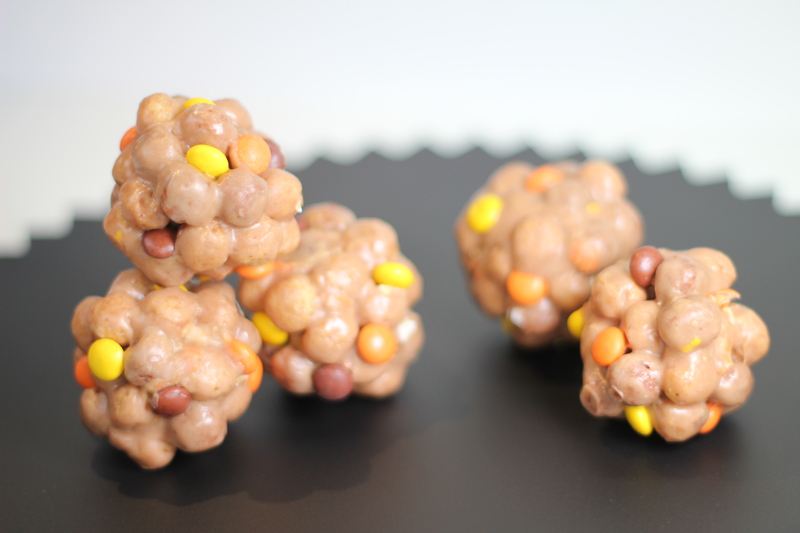 After much brainstorming, my kids thought that making a cereal treat would be the most fun and would be perfect for a Halloween party snack or lunch box treat. 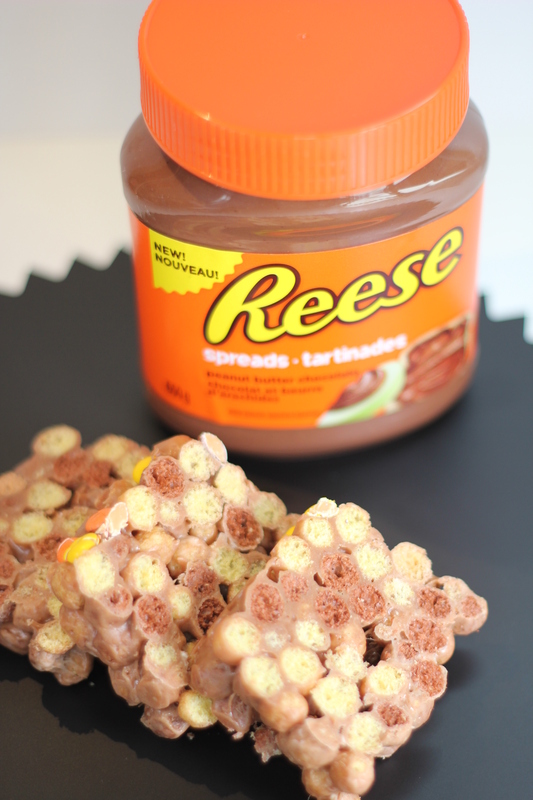 I made the Reese® Spread Cereal Treats using my son’s favourite cereal General Mills® Reese®Puffs cereal and pressed the mixture into my Chicago Metallic™ Lasagna Trio Pan for long loaf size shape slices and also used a mini muffin tin to form golf ball-sized sphere treats. Follow my Instagram @the5oclockrush to see my daily dinners photos. In microwave-safe bowl heat butter on HIGH for 15-20 seconds, remove from microwave, and then add Reese® peanut butter chocolate spread, stir until combined. 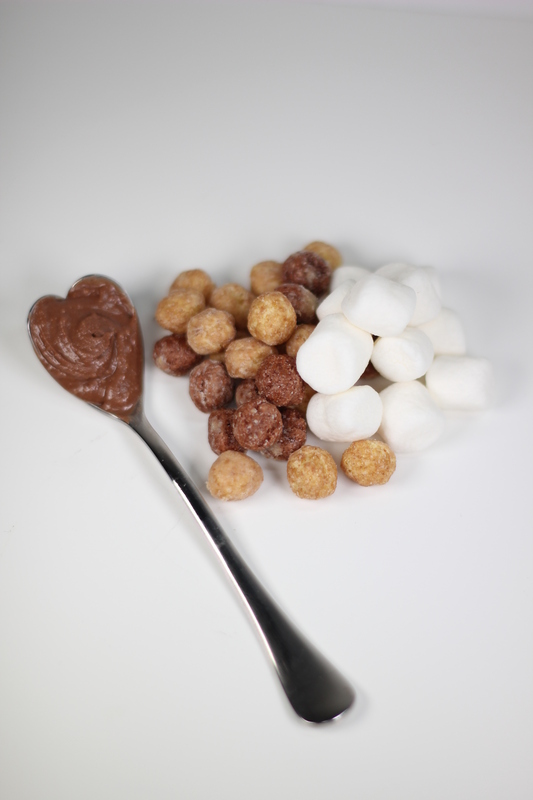 Add marshmallows to the butter peanut butter chocolate spread mixture on HIGH for 3 minutes, stirring after 2 minutes. Stir until smooth. Microwave cooking times may vary. 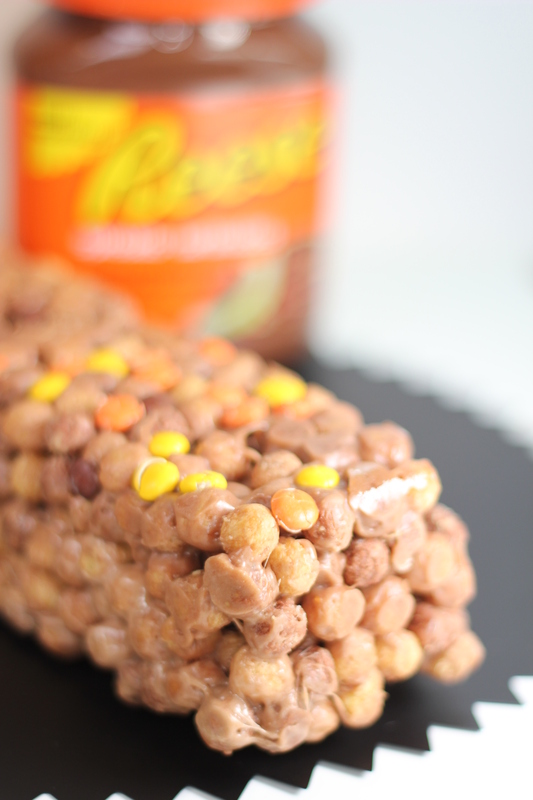 Working quickly add General Mills® Reese® Puffs cereal. Stir until well coated. 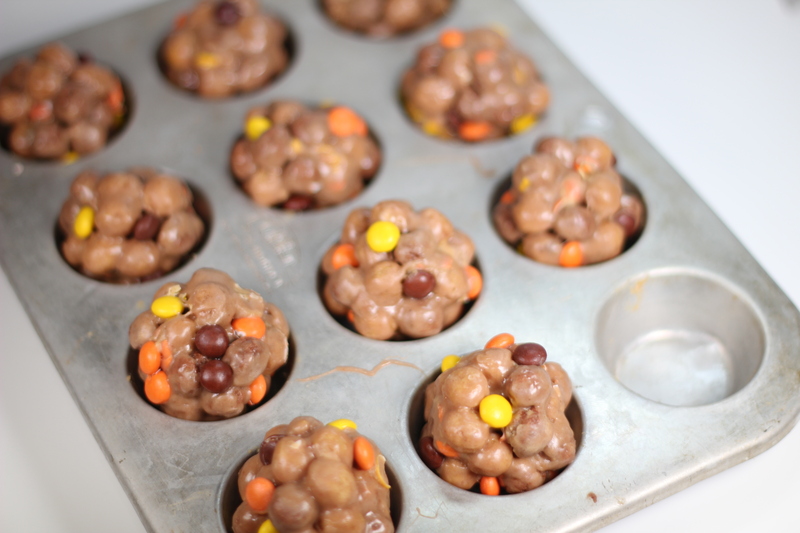 Sprinkle Reese® mini pieces into a lightly coated with cooking spray 13 x 9 x 2-inch pan or loaf pan. Using buttered spatula evenly press mixture into the prepared pan. Cool. Cut into 1-inch slices. 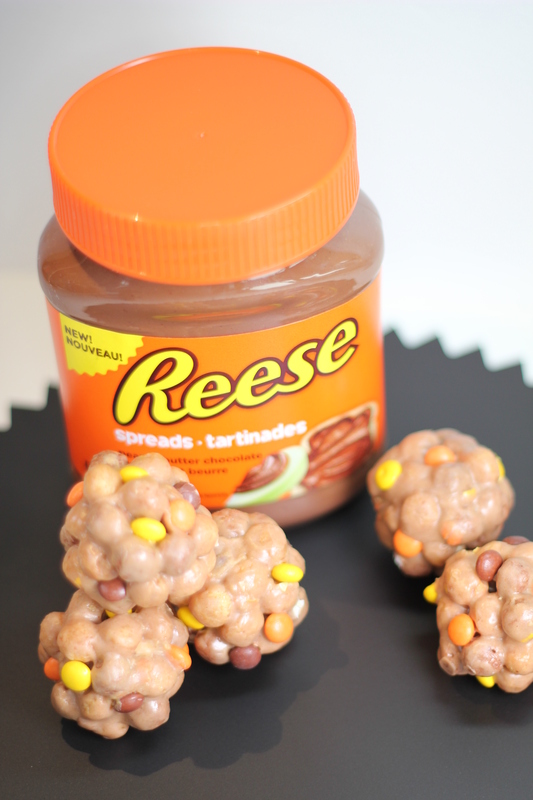 Or form the mixture into golf ball-size spheres and gently roll in Reese® mini pieces. Best if served the same day. 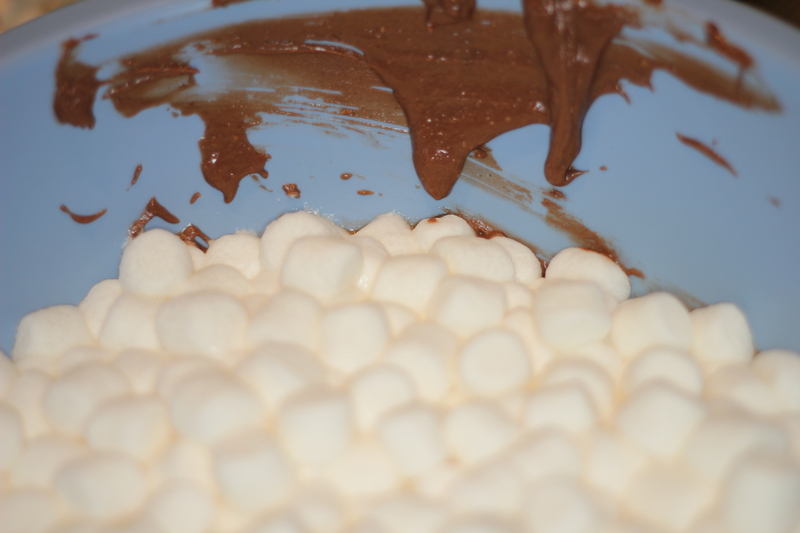 Disclosure: This blog post is sponsored by Hershey’s Canada. I was compensated monetarily and with product. All opinions and experiences are my own.